I was first introduced to K.A. Tucker and this series with book number 2, Becoming Rain, and I’ve been hooked ever since. Tucker’s storytelling has a unique feel to it. It isn’t out there, shocking, or crazy, but there is just something so ensnaring and enjoyable that keeps me coming back for more. I love how she blends and balances suspense with romance to deliver a story that captivates and delights. Chasing River takes place in Dublin and centers around Amber, an American looking to escape her small roots and River, a native Dubliner who runs his family’s pub. River’s brother, Aengus, has ties to some people of questionable morals and his actions put Amber’s life at risk. Enter River to the rescue and things start to get hairy fast. I absolutely love Tucker’s knack for blending suspense and romance; there is such a beautiful balance between the two in this story. 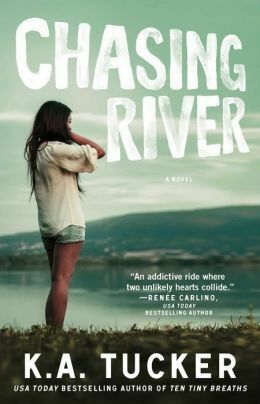 I have found a lot of suspense novels with a little romance and a lot of romance novels with a little bit of suspense, but Chasing River blends the two genres in a way that allows them to add to each other rather than diminish. I highly recommend picking up this book and the rest of the series. The stories are captivating without being gimmicky and the writing is fantastic. For more on Chasing River and the rest of the Burying Water series, along with an excerpt and giveaway, check out the Review Tour post. 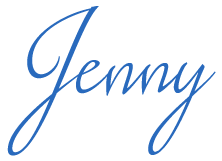 Thanks for review Jenny, this has sparked my interest and i am going to definitely read it!